BANGKOK, Thailand, 2019-Feb-12 — /Travel PR News/ — Tourism industry organisations and individuals making outstanding contributions towards the successful promotion of the travel industry throughout the Asia Pacific region are encouraged to submit entries to the 2019 Pacific Asia Travel Association (PATA) Gold Awards. The deadline for submissions is April 30, 2019. 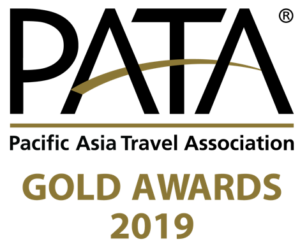 The PATA Gold Awards Dinner and Presentation will take place on September 19, as part of PATA Travel Mart 2019 from September 18-20 at the Korme Exhibition Centre in Astana, Kazakhstan. PATA Gold Awards details, brochure, and information about past winners are all available at www.PATA.org/goldawards. View video from the PATA Grand and Gold Awards 2018,2017,2016,2015,2014 and 2013, and pictures from 2018, 2017, 2016, 2015 ,2014 and 2013. This entry was posted in Business, Festivals and Events, Tourism, Travel, Travel Awards, Travel Services, Travelers and tagged Astana, awards, Dr. Mario Hardy, gold, Kazakhstan, MGTO, Ms Maria Helena de Senna Fernandes, Pacific Asia Travel Association, PATA. Bookmark the permalink.